On the 30th of August an solidarity event took place. There was a talk about importance of supporting prisoners by writing letters, and other means of solidarity. 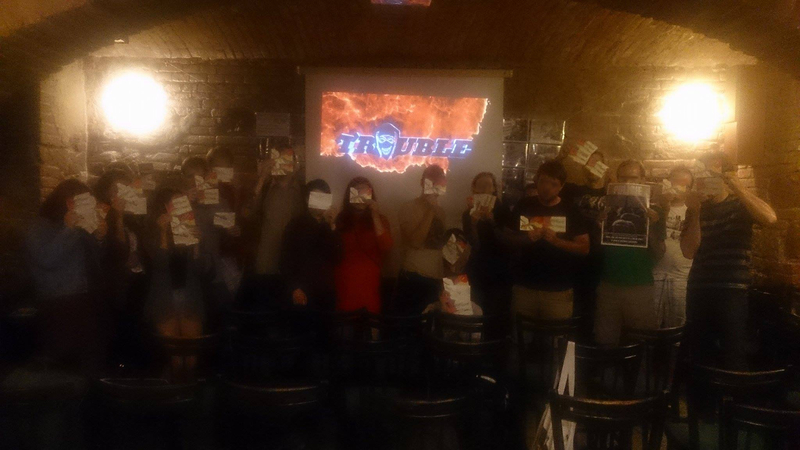 We also screened the 5th episode of documentary anarchist show Trouble about first-hand experience of people, whose communities and groups were infiltrated by cops, and digital surveillance in the modern world. We wrote and sent lots of postcards to prisoners. Also, we appeal on anti-authoritarian groups and communities, to think about making such events more regular and make the discussion about abolishing the prison and supporting prisoners open to wider public.